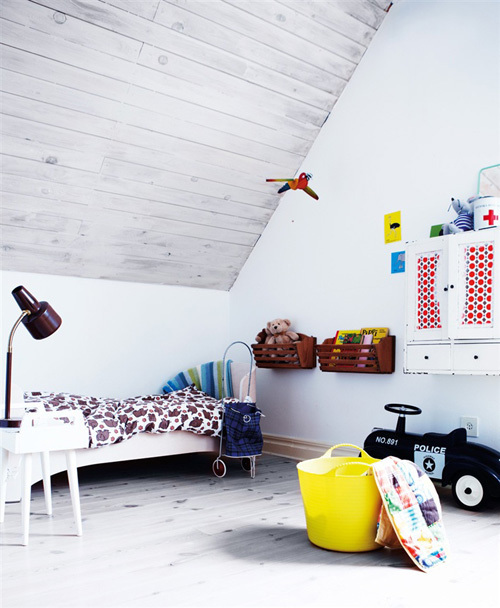 Kids like color and there is a lot of it in Lea Bawnager’s home in Sweden. Lea lives here with her husband and their son Elliot. She loves to visit flea markets and often she comes home with beautiful finds. An old flower box, found on a flea market, serves as bookshelves (image above). 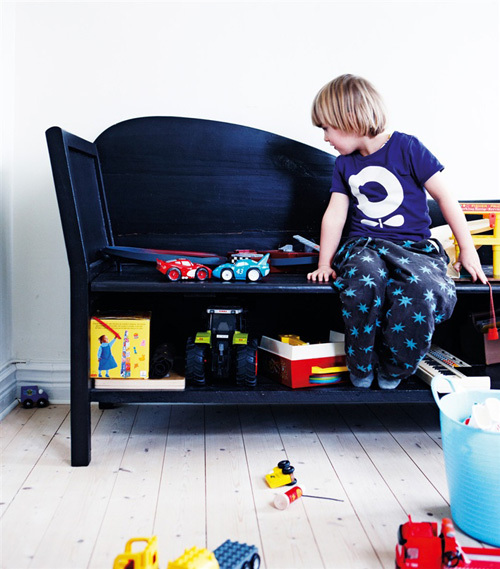 Toys can be stored in this Swedish wooden bench. Most furniture in Elliot’s room was sourced on flea markets. The image below shows Elliot’s play corner in the living room. 1. 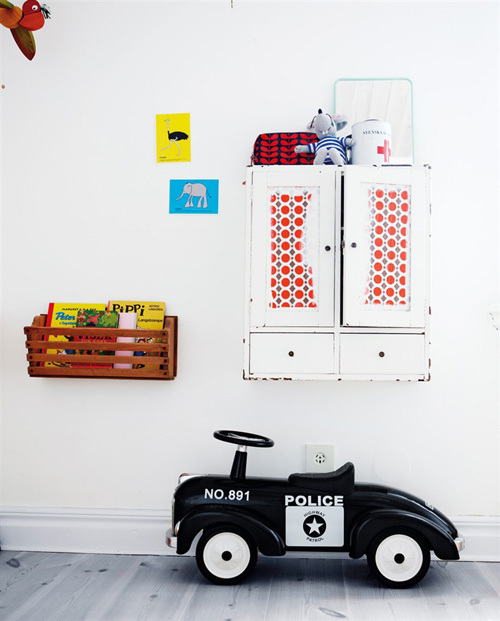 Police car for kids (€ 69,95), 2. foldable cardboard playhouse (€9.95), 3. 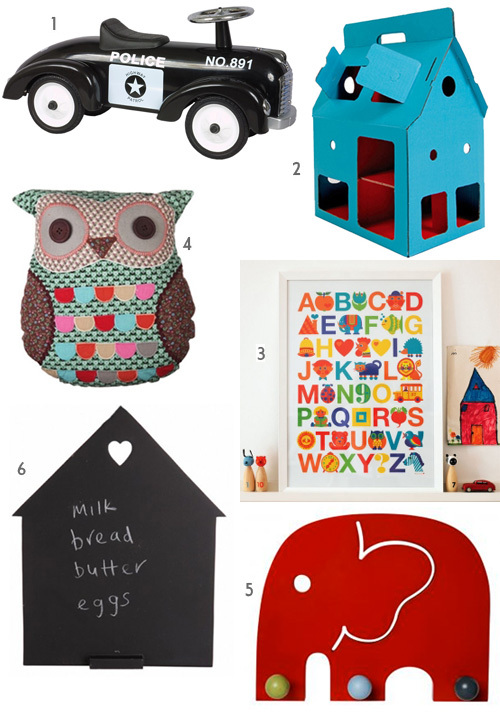 ABC poster by Graziela Preiser (£22.50), 4. lovely owl cushion (€24.95), 5. 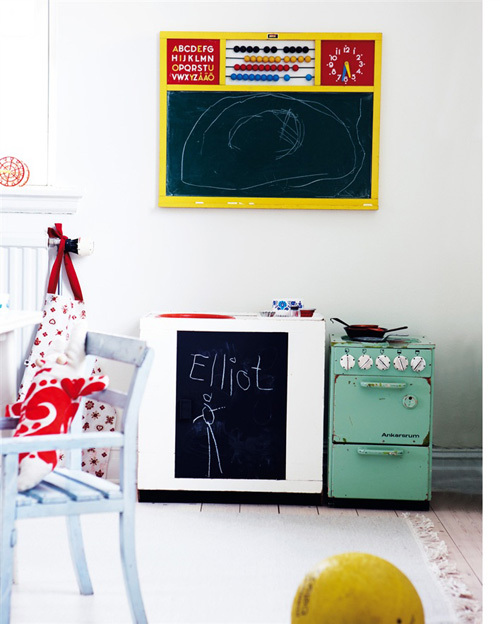 Elephant Coat Rack in red (€39.95), 6. chalkboard paint house with holder for chalk (€8.95). so very much in love with the flower box book shelves! can not help falling in love with the colorful space for kids! lovely!